GRETNA, Neb. (KPTM) -- The University of Nebraska Medical Center says a Gretna grandmother already has a special bond with her granddaughter. 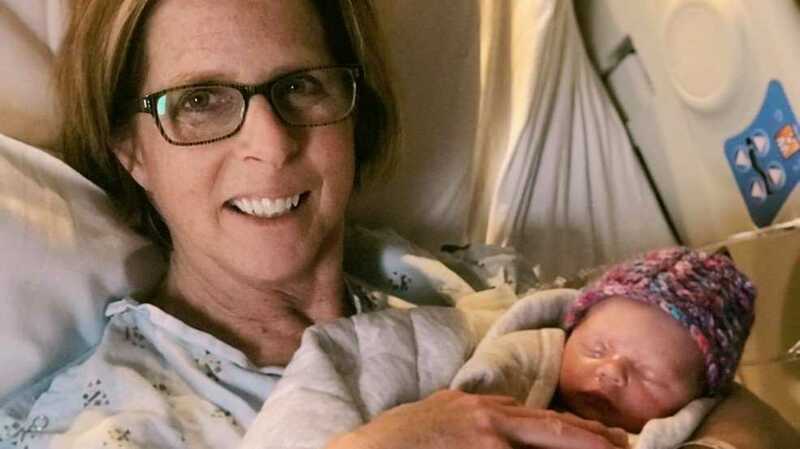 61-year-old Cecile Eledge delivered five pound, 13-ounce Uma Louise Dougherty-Eledge at Nebraska Medical Center at 6:06 am on Monday, March 25. New Hoverboard Flies To 10,000ft, 93mph? A 33-year-old man was killed in a rollover crash near Eureka, Nevada on Tuesday, the Nevada Highway Patrol reports. The man, identified as Zachariah Schuchard of Spring Creek, Nevada, was driving a commercial truck on State Route 278 at about 7:30 a. m. For unclear reasons, Schuchard's vehicle drifted to the right and off the paved should of the road, NHP said in a press release. Schuchard steered left back into the road, causing his vehicle to rotate counterclockwise. A Facebook picture posted by the shelter gave the 31 pound cat his moment of glory.